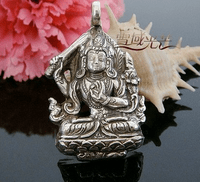 Handmade Tibetan Buddha Amulet Pendant - Manjusri. This pendant was handmade in Tibet from sterling silver. 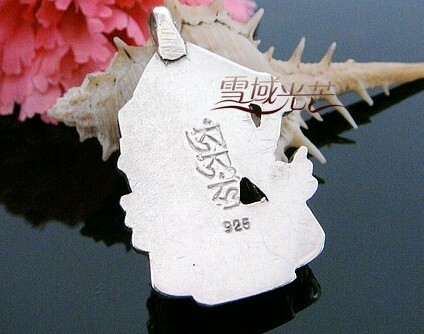 Size: 4.3cm*2.8cm. weight: 25g.